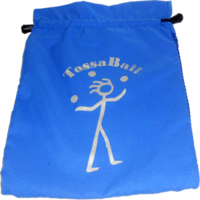 This Tossaball® logo pouch will hold up to 5 Tossaball® 2.8" juggling balls. 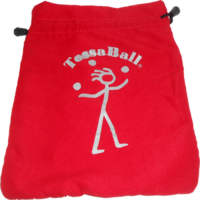 Just right to snuggle away your favorite "Tossibles". 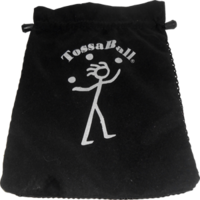 It is made from iron strong synthetic suede and has the Tossaball® logo on the front. 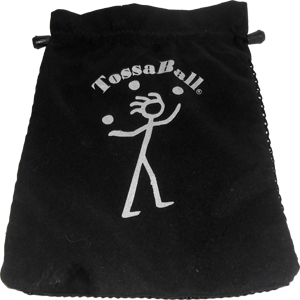 Measures 10" X 8"